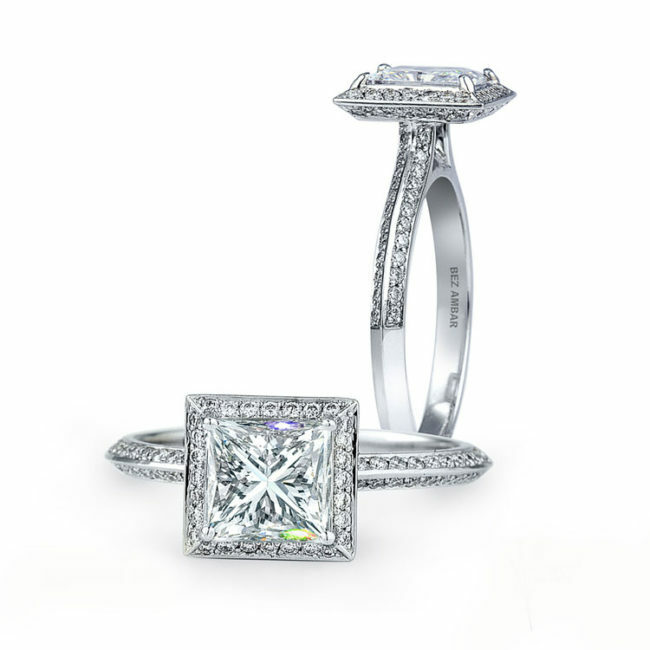 • From the Halo engagement ring collection. and half way blaze and pave shank . • Available in platinum, 18k white,yellow and rose gold.